Unless you follow Martha Stewart rules, there is nothing wrong with serving store bought dips. In fact, sometimes you need to grab something last-minute to bring to a party and the only thing is fresh salsa and chips or a french onion dip and veggies. You no longer have to feel embarrassed by the fact you brought a store-bought dip to a party, because I have a solution for you to dress it up with a Dip A Di Do Da. The concept is simple but brilliant at the same time. The container fits most store bought plastic containers. You just plop your dip into the fun container and it disguises any of the product name so all you see is the yummy dip inside. 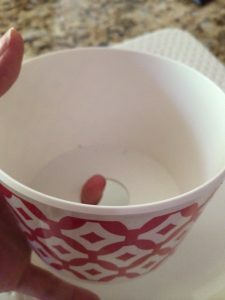 Maybe there is still dip inside after your event, no worries, they added a hole at the bottom so you can just stick your finger inside and lift the container out without having to dump it over. Dip A Di Do Da was created and designed by a friend of mine and her business partner. They both like to entertain and they are interior decorators so they come up with all of their own color designs and patterns. You can even get a monogram or team logo to take out to the next tailgate. I decided to try out my Dip A Di Do Da on cream cheese and bagel platter I was making last weekend.. 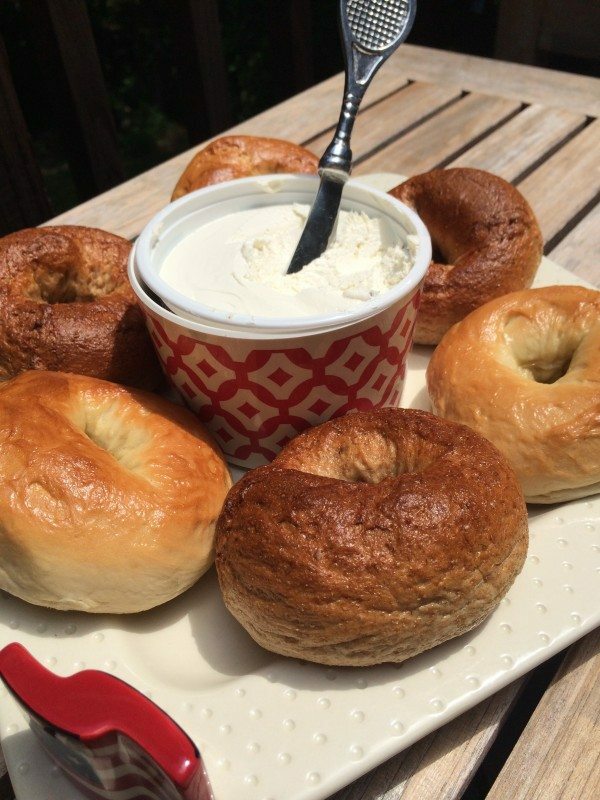 If you have a brunch and have out bagels, the cream cheese just sits in the middle, getting warm and sort of ugly. 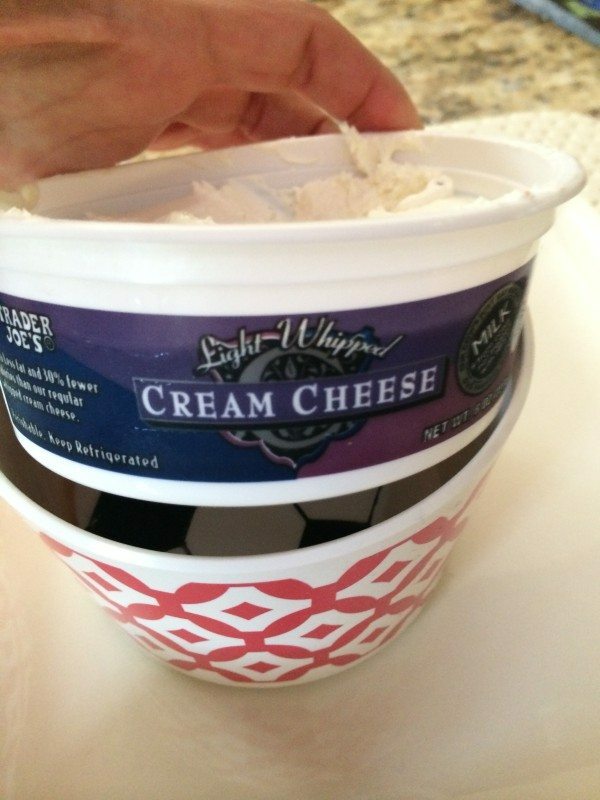 I found that the larger containers fit in the Dip A Di Do Da. I added a ice pack, something from my kids lunch to help keep it cool. Now doesn’t this platter look more appealing than with the plastic container sitting there? Buy one today and visit their Facebook page to see their upcoming designs and features. You might want to pick up a few to give as gifts, at under $15 this makes a great hostess gift, teacher gift you name it. It definitely put a nice look to it! Great idea! 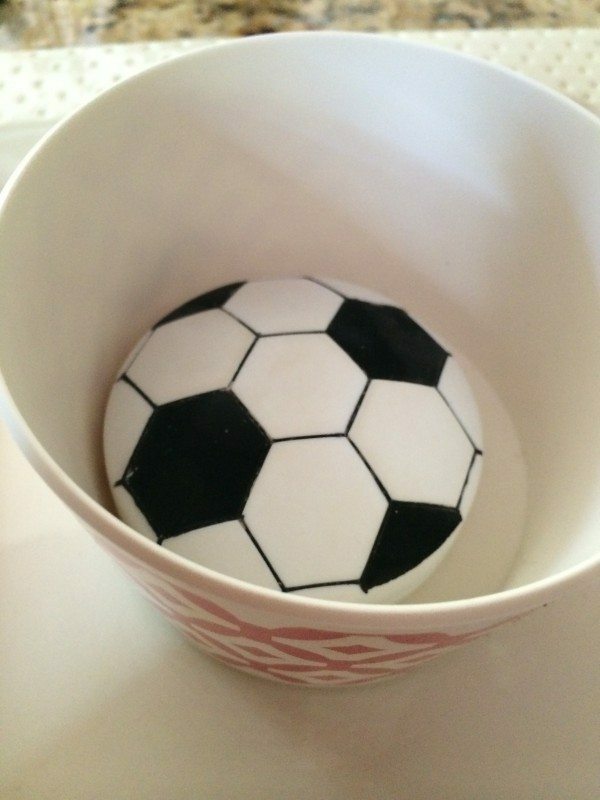 Wow that is a great idea, and so cute too. I have never seen this brand, but it sure looks good. Interesting idea! I wish them luck with their product! Yes, very clever! I usually take the dip out and put it inside a pepper, no one knows I did not make it 🙂 I love doing things the easy way when entertaining. They certainly do come up with everything, huh? lol Although I have to say you’re right, it definitely looks better than a big branded container sitting right in the middle of the plate. That is brilliant!!!! What a great simple tip – love it! How ingenious! Anything that helps make things a little easier is OK with me. What a great idea! So much nicer than throwing the container out on the table! This is so pretty! I would love to have one for cook outs! Now that is a fantastic idea. I like the disguise. Come on! That is genius! Nothing looks worse than an ugly jar or container on your pretty display. What a fantastic idea I never would have thought to do this. The dip looks yummy too! These Are Awesome I Agree I Must Get A Few Next Time I Attend A Party Thank You Great Idea! Very cute…checking out their site. I enjoy supporting Mom’s makign a difference! No way! What a cute idea!! I have to try that.